Going on a camping trip is a rewarding, educational and wonderful experience. If you’re stressed out from the daily demands of work, heading outdoors to commune with nature will do wonders for your work-life balance. Wherever you choose to go, you need to make sure you have everything you need, from food and an emergency kit to extra clothing and what you’ll be sleeping on. Taking a break from the usual work and home environment by experiencing the great outdoors involves being able to rest and getting a good night’s sleep. 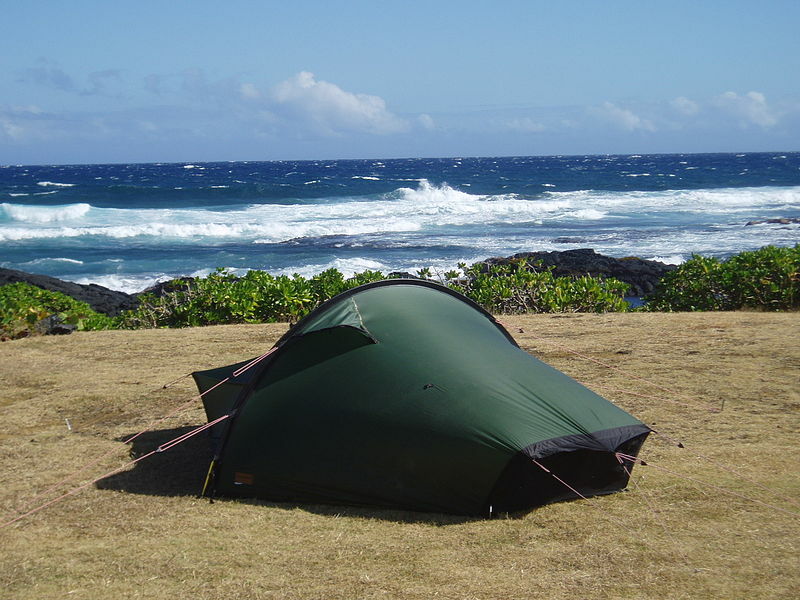 Different people have varying preferences when it comes to a camping sleep system. Some prefer the comfort and elevation provided by an air mattress while others choose to swing themselves to sleep in a hammock. Which option is better? Well, the sleep system to use would depend on several factors. Consider the following when packing for your trip. If you’re going to a camping spot with a lot of trees, then using a hammock would be a good idea. However, if you’re planning on making a getaway to a desert to go stargazing, there probably wouldn’t be any trees around to hang your hammock on, so something like an air bed, sleeping bag, cot or camping pad would be a better option. Camping pads and air mattresses designed for outdoor use are also great if the campsite is a bit rocky and you don’t want to sleep on cold, hard ground with rocks digging into your back. If you prefer to bring just one backpack with you, a hammock or earth mat and a sleeping bag are ideal. They’re portable, lightweight and can easily fit in a backpack pocket or strapped onto your pack. If you have a little more space – for example if you’ll be bringing your car – then using an inflatable bed or folding cot would be more comfortable. If you’re used to roughing it and don’t mind not being completely horizontal when you sleep, packing a hammock may be enough for your relaxation needs. If you find it hard to sleep on a hammock, or if you have children with you, using an air mattress or a sleeping bag would be best. While swinging in a hammock is exciting for kids, they probably aren’t the safest and most comfortable for sleeping in at night. Hammocks, even those with netting and weatherproofing, aren’t too ideal for rain and cold weather. Rain can be pretty unpredictable, so if you’re going somewhere where there may be the slightest chance of rain, it would probably be a better idea to bring a tent and an all-weather air bed or camping pad and an insulated sleeping bag. In the budget department, a hammock wins hands down. It’s definitely affordable and you have many brands and types to choose from – great for those who are just starting out with camping. It’s also a good buy for those who don’t go camping often. Next are camp pads and cots, followed by air beds. If you go camping with your family often or simply enjoy staring up at the night sky lying flat on your back, choose an air bed. An outdoor air mattress may seem expensive at first but it is a sound investment that will guarantee you comfort wherever you choose to sleep.